In 1993 Teamwork Technology started with a project to get energy from the ocean waves. The Archimedes Wave Swing is in many ways the world’s largest wave energy prototype. Although the project started as a technology development, it ended up becoming the development of a fully functioning company in wave power. After a successful demonstration of the technology in Portugal in 2004, this new company was started in Scotland where it now operates as AWS Ocean Energy Ltd. This company was originally founded by Teamwork Technology and its partners. The initial project was supported by NUON. In 2002 NUON pulled out and the project was bought back by the original founders. It is thanks to this project that Teamwork Technology has earned its status as expert in wave energy. The experience and knowledge from this project lives on in the New Wave Energy project launched in late 2010. The test of the first prototype in Portugal provided us with a lot of empirical data and experience in our underlying technological concept. Our theoretical models are verified and the operating principle of the technology is demonstrated. Electricity was being delivered to the grid and from this we could draw conclusions about the efficiency of the system. The installation of the system appeared a problem, resulting in a new design abandoning use of a pontoon. As there was little potential in the Dutch home market, AWS was transferred to Scotland, where access to a more global market was opened up. 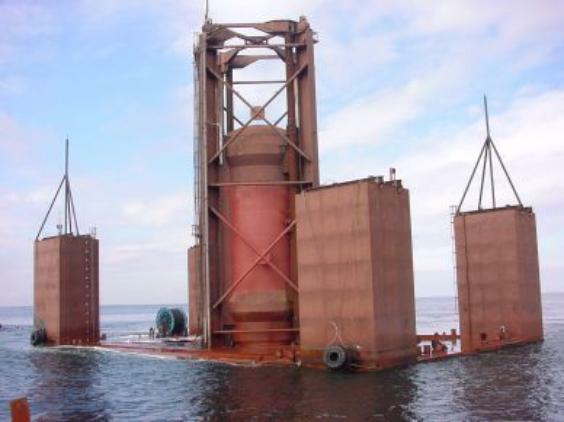 Our installations consist of large systems, like wind turbines, and are placed in large numbers in the sea. The production of energy can be predicted up to 4 days in advance. 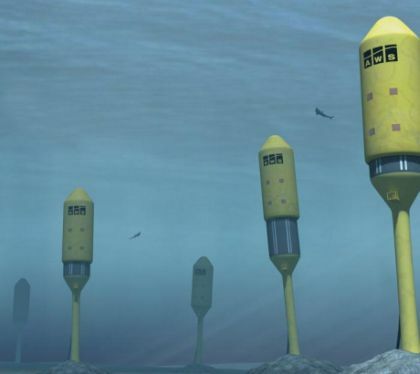 In areas with a suitable ocean coast and adequate wave energy climate, about 20 – 30 % of the energy demand can be covered. A big advantage of the AWS compared to traditional wind turbines is that the system is fully submerged so there is no visual impact.